The model utilizes a 15 kHz operation frequency. 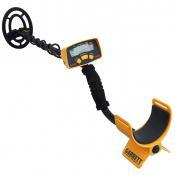 With it, you will be able to detect coins that are buried up to 15 inches deep. 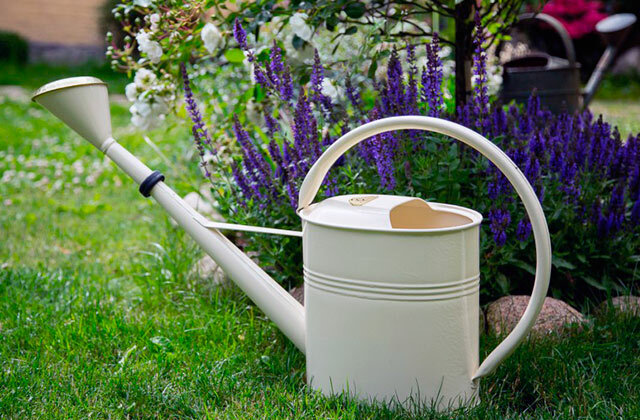 It will also be able to detect bigger objects even if they're 40 inches deep in the ground. A pair of headphones that come with the package will do wonders in conjunction with the Pro Mode Audio. The quality of the headphones is somewhat questionable. The Garrett AT Pro is a powerhouse of a detector, the sort of product that includes so many features we couldn't even hope to cover them all. 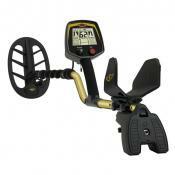 Is it the best metal detector for gold? Maybe. Is it one of the better detectors out there when it comes to searching for coins on any kind of terrain? Absolutely. The instrument comes equipped with 0-99 target identification, a nice little feature that will allow you to determine if a signal is worth digging. With the help of the notch discrimination system, you will easily be able to pass on unwanted iron, screw-caps, foil, and pull-tabs in favor of real gems hidden down below. The battery dies pretty fast. The model will certainly suit amateurs, but a good chunk of its features might go above their head. 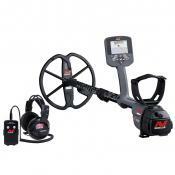 Which is why we will recommend this thing to experienced detectorists first and foremost, the type of individuals that will truly be able to appreciate all of the complex functions that the model has to offer. The toggle switching of detection modes and knob adjustment of sensitivity and discrimination allow a fine device tuning for detecting specific metal types and objects. The manufacturer did not allow for the pinpoint feature. 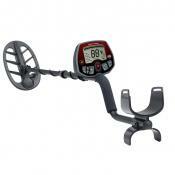 This feature-rich metal detector is quite easy to operate. Amateur and professional treasure hunters alike will highly appreciate the capability of the device to detect all types of metal. While the detector includes the three standard types of audio beeps for your average customer, it also includes a fourth tone that activates only when the model locates something that it identifies as a coin. 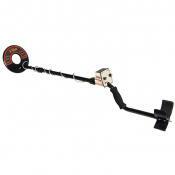 The 9” elliptical search coil beats the majority of standard 8" coils. The Expanded Target ID Legend will indicate the U.S. coin denominations. The audio beeps are a bit loud. 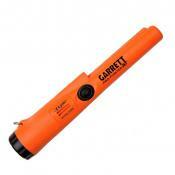 The Garrett Ace 250 is one of the most versatile metal detectors on the market. Whether you're the type that prefers to hunt coins, look for relics, search for all sorts of caches, or pursue pieces of jewelry, you could definitely find some use for this particular model. The detector comes with a padded armrest and a cushioned handgrip, so you won't have to worry about overstressing your hand. 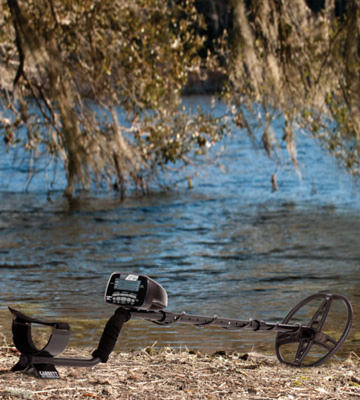 On top of that, this waterproof metal detector weighs only 2.4 pounds, which is really lightweight as far as metal detectors are concerned. 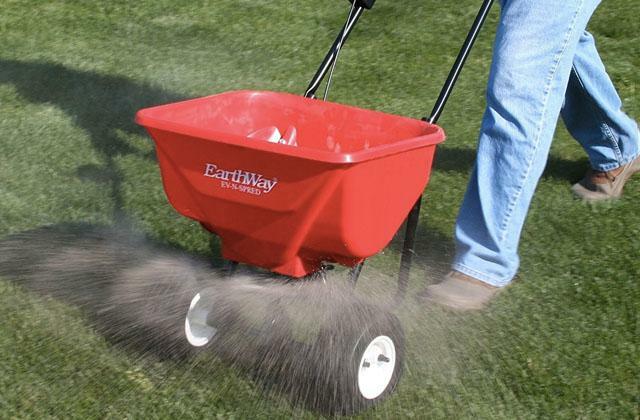 It also comes with a preset ground balance, so it won't pick up any minerals. If you're looking to pick up a new hobby, why don't you grab the Bounty Hunter QSI-PL Quick Silver and give metal detecting a try? The model is quite affordable, but don't let that fool you since, for such an inexpensive product, this detector is packing quite a punch. If you have always dreamt of being a pirate so you could find some golden doubloons and live happily ever after but that pirate life seemed to have always eluded you, you might want to try your hands at metal detecting with Garrett AT Pro, one of the better detectors on the market when it comes to searching for coins. Now, there are a few things that make this model so great for the latter activity, but the most important one would have to be the fact that it comes with a 15 kHz operation frequency. 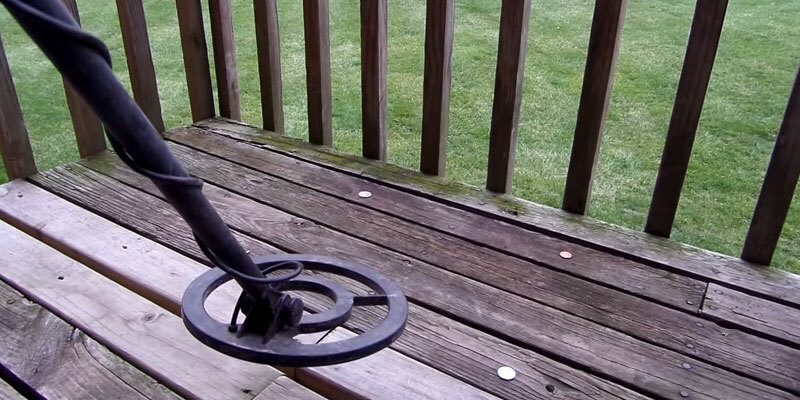 With it, you will be able to detect coins that are buried up to 15 inches deep. 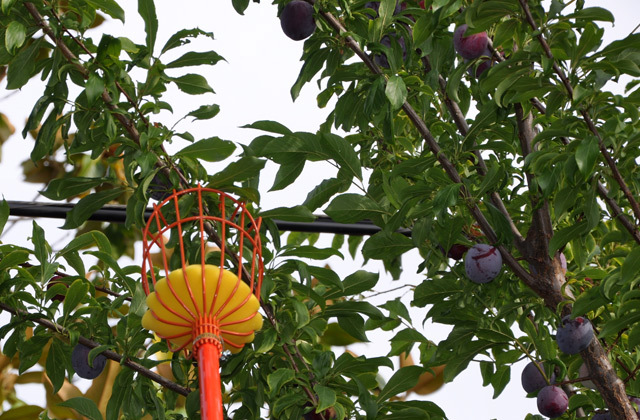 Of course, if you feel like searching for bigger objects, that operation frequency will come in handy as well, with the ability to detect those even if they're 40 inches deep in the ground. However, with such a detection range, there's a good chance you will be stumbling upon different kinds of garbage more often than not. 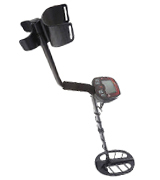 Fortunately enough, the metal detector includes both Hi-Res Iron Discrimination and Graphic Target Analyzers, a couple of exclusive patented technologies from Garrett that make use of the LCD screen and allow you to distinguish between all sorts of rubbish and something that just might pique your interest. Naturally, the model also comes equipped with eight different sensitivity and depth adjustments, both of which are tremendously important unless you're planning on searching for treasures only through a single type of terrain. 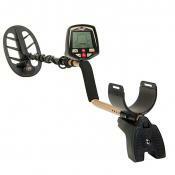 Though we did mention earlier that the model could be described as the best metal detector for amateurs, the "pro" part in the Garrett AT Pro name of this product isn't there just for show. In addition to three standard modes that are more suited for the less experienced crowd, the people behind this detector also made sure to include three professional modes and a pinpoint feature. All of that is operated through an LCD screen, which, generally speaking, would be nothing to write home about since the majority of metal detectors come equipped with them these days, but the particular display is actually one of the best aspects of this model. Given that this detector includes such an array of features that we couldn't even begin to cover in a single review, you'd expect the interface to be so cluttered that one wouldn't be able to find the right feature without wasting minutes on it. However, it is actually the opposite that's the case. The interface is just about as user-friendly and simple as it gets, with all of the necessary information being displayed exactly where it's ought to be displayed. In addition to the metal detector itself, you will receive a pair of headphones that will prove to be quite useful given that the model incorporates a Pro Mode Audio, a feature that will make iron discrimination a whole lot easier. Finally, before we bring this review to a logical conclusion, we would be remiss not to mention the coin depth and the ground balance features. While the former should be more or less self-explanatory, the latter will allow you to use this product on any kind of terrain. All things considered, Garrett AT Pro is a powerhouse of a detector, the sort of product that includes so many features we couldn't even hope to cover them all. Is it the best metal detector for gold? Maybe. Is it one of the better detectors out there when it comes to searching for coins on any kind of terrain? Absolutely. 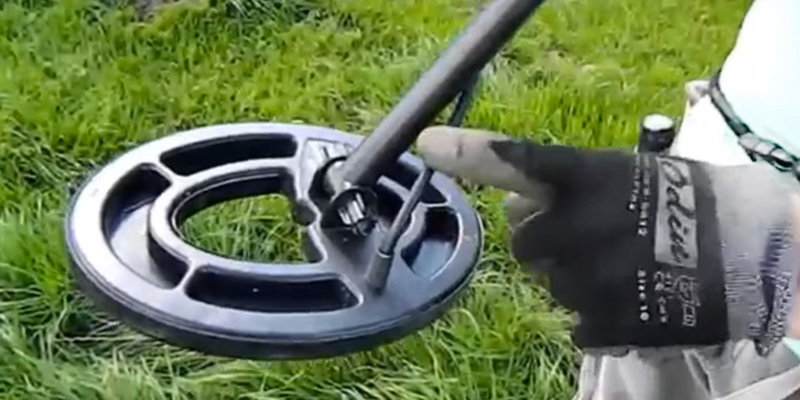 This is perfect for beginners who are curious/ interested in metal detecting, it is not expensive and the screen shows how deep the object is, and what it is. 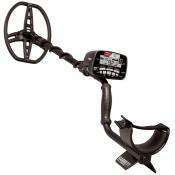 A very light weight metal detector and it was easy to assemble. 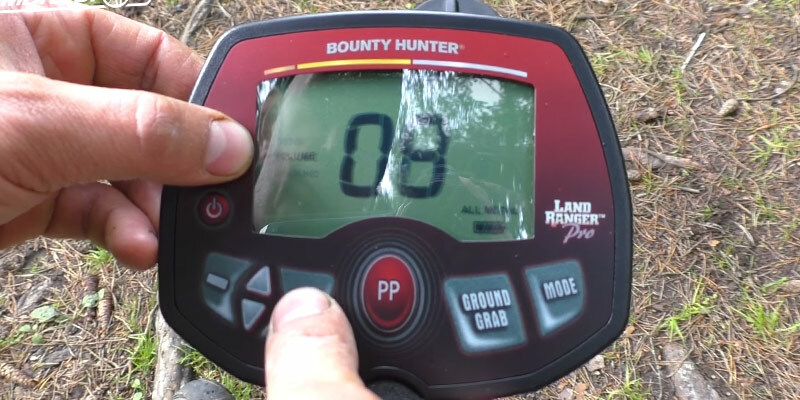 Bounty Hunter Land Ranger Pro is a great choice for those individuals that have already spent their fair share of time looking for all kinds of bounties. Though this isn't the sort of product that has a steep learning curve and just about any beginner could pick it up in no time, only a real enthusiast that knows all about that thrill you get every time you find a coin, some sort of relic, a piece of jewelry, or any kind of cache will be able to appreciate all of the advanced features that the model includes. First off, there's the pinpoint mode that will require some time to get used to if you don't already have enough experience with this sort of feature but will prove to be immensely useful once you get the grip of it. In short, it will help you align the response point to the center of the coil, meaning that you will be able to determine the precise location of the object, so you'll know exactly where to dig. 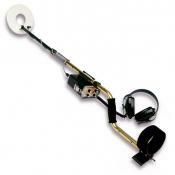 Speaking of the coil, the Bounty Hunter metal detector in question comes with a massive 11-inch waterproof one. Aside from the fact that it will allow you to utilize an operating frequency of 7.69 kHz, something that may not be as great when it comes to searching for coins but will prove to be more than sufficient for overall relic searching, you will also be able to use it in shallow water. 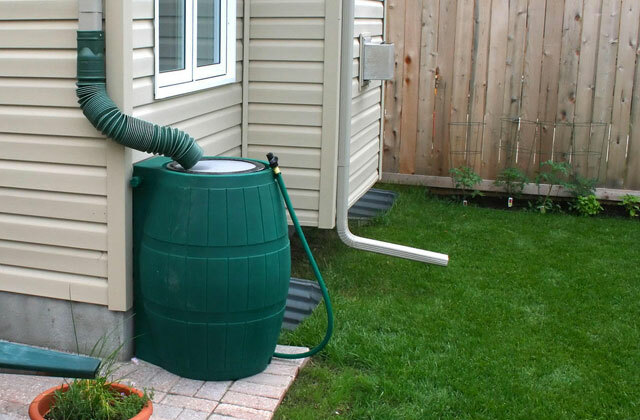 Plus, the relatively massive size will also come in handy in terms of covering a considerable amount of ground in a shorter period of time. Another important feature of this detector is ground balancing, a technology that will allow you to eliminate the absolute majority of false positive results when you decide to go hunting through mineralized soil. 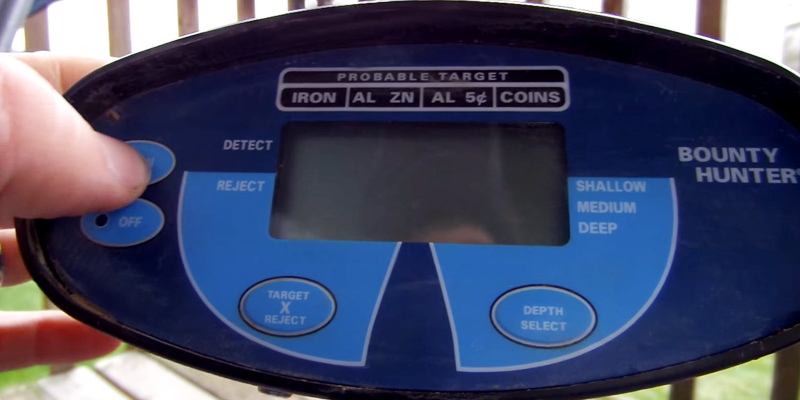 Of course, whenever you do manage to find something that the model considers to be worthwhile, the adjustable iron system, also known as the audio target identification system, will emit one of the four tones that you can calibrate if you'd like to pass on certain types of iron in favor of more precious metals. Now, what else is there? Well, we could certainly talk about the notch discrimination system, a feature that is normally reserved for your top-of-the-line metal detectors. Simply put, this system uses a notch in the discriminate response and that, in turn, helps the detector respond to targets within a certain range while still rejecting targets above that range as well as below it. And if that doesn't sound particularly remarkable to you, well, it should, because, with the help of this system, you will easily be able to pass on unwanted iron, screw-caps, foil, and pull-tabs in favor of real gems hidden down below. In addition to this system, the model also comes equipped with 0-99 target identification, a nice little feature that will allow you to determine if a signal is worth digging. Other than that, we wouldn't be able to wrap this whole thing up without briefly mentioning the large LCD screen, a rather underrated characteristic given how convenient it is when it comes to identifying readouts, especially when it is sunny outside. 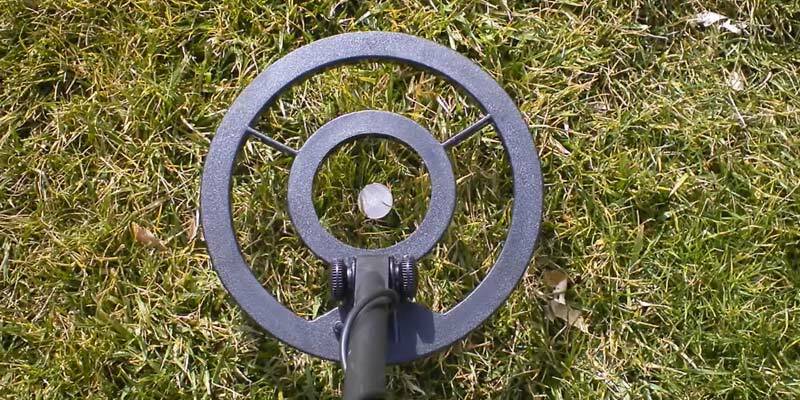 To sum it all up, this Bounty Hunter metal detector will certainly suit amateurs, but a good chunk of its features might go right above their heads. Which is why we will go right ahead and recommend this thing to experienced detectorists first and foremost, the type of individuals that will truly be able to appreciate all of the complex functions that the model has to offer. The original unit I received did not detect anything due to some problem with the search coil, so had to send it back for a replacement. Depth? I found a 2 euro coin (think half dollar size) just over 2 feet deep in the sand at a beach. That's right, no exaggeration, 2 freakin feet. Love the ground grab feature and even without headphones can easily distinguishable tones. 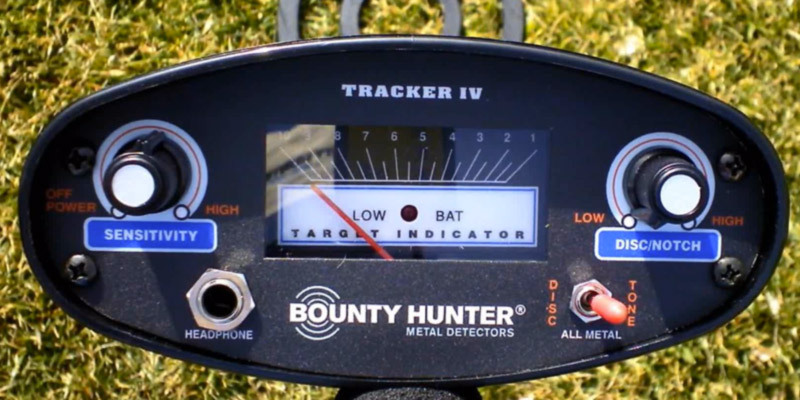 The Bounty Hunter TK4 Tracker IV refers to the entry-level segment but offers an outstanding performance. 8" detector coil makes this digital eye peer through an 8" thick ground layer detecting small objects while the maximum detection depth reaches 24" depending on a metal type and object size. 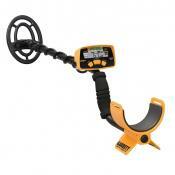 The operating frequency of 6.6 kHz of the TK4 metal detector provides a good iron and precious metals detection. And while that isn't the most impressive operating frequency you would be able to find on the market, the range of detectable metals includes gold, silver, brass, aluminum, iron, and steel. The TK4 Tracker IV model comes equipped with a needle indicator, which allows discriminating one metal from another based on its conductivity. 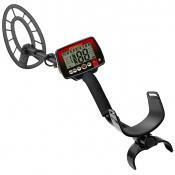 The preset ground balance neutralizes response of the device to a noise produced by mineral content in the ground. 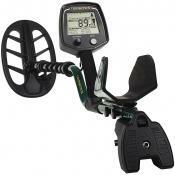 The stepped sensitivity adjustment of this metal detector also serves for filtering off any interference. Two-tone sound notification of metal detection enables you to differentiate between the detected metal types. In turn, switching from the Motion all-metal mode to the Discrimination mode will allow you to search for non-ferrous metals in a much more effective way. 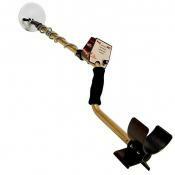 The submersible detector coil makes it possible to search for metal objects in shallow water with this metal detector. Another thing we would like to point out is the fact that the Bounty Hunter TK4 metal detector comes with an S-shaped handle that provides a firm grip and comfortable device use throughout a whole day. The curved armrest with a foam pad prevents your hand from slipping when handling the device and effectively absorbs moisture. 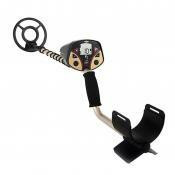 All the members of your family and friends can use this metal detector as it has an adjustable shaft length. The Bounty Hunter TK4 is also easy to store and carry in a bag or transport in a car trunk due to the disassemblable design of the detector. 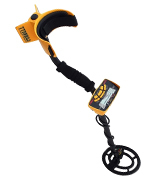 The 2.9-pound weight of the Tracker IV model makes it easy to carry around so both teenagers and adults can search for relics and coins with it. 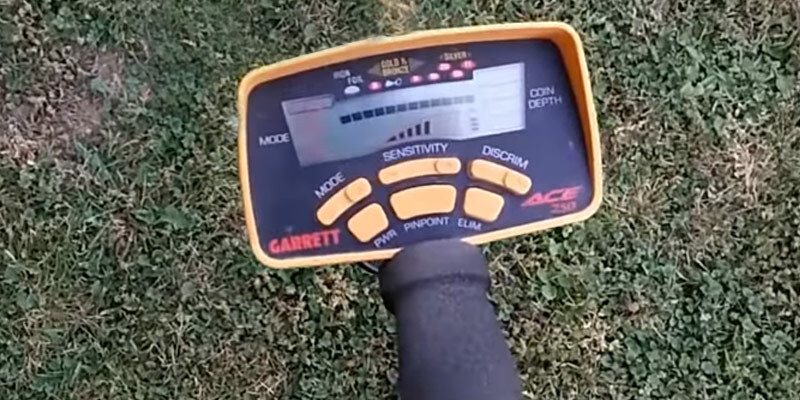 The Garrett Ace 250 is the kind of detector that has quite a lot going for it, so much so that we wouldn't be able to identify the particular target audience for this model. And while calling any product versatile is a bit of a cliche, there is no other word that could better describe the instrument that we're dealing with here. This versatility is present not just in the model's properties but also in its features. Just take a look at the audio identification system, for instance. While the detector includes the three standard kinds of audio beeps for your average customer, it also includes a fourth tone that activates only when the model locates something that it identifies as a coin. Speaking of coins, if you feel like hunting for them, the metal detector has you covered with a Coin Mode that essentially eliminates the signals from all kinds of lower end rubbish like iron nails and tinfoils, all while retaining the nickel-range signals. The most impressive aspect of this mode is that it still allows the model to avoid pull-tabs. As you would imagine, this kind of mode will be useful for those that prefer to use the more populated locations as their hunting grounds. 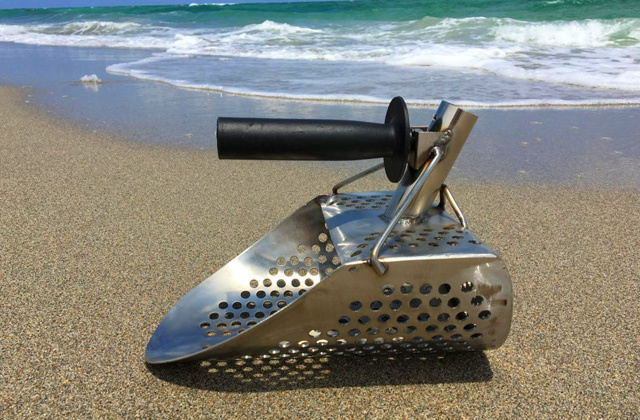 Nevertheless, if you don't care for the latter places and often choose to roam through secluded beaches and other locations where very few men have gone before, you could certainly find some use for the All-Metal Mode. As the name suggests, this mode includes no discrimination, therefore it allows the model to detect all metals. 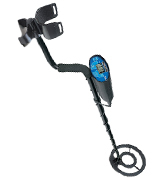 Before we move on from different kinds of modes that this metal detector comes with, we would be remiss not to mention the Jewelry Mode that eliminates the signals from small iron and tinfoil, making it perfect in terms of searching for rings and bracelets. And if you know what you're doing, you could always choose the Custom Mode that will save your own discrimination settings. While we did say earlier that this is a versatile detector, we certainly didn't mean that there is nothing particularly interesting about it. So, if we had to point out its strongest suit, it would probably have to be the model's display. First off, despite the fact that it is rather user-friendly and just about anybody will be able to figure it out in no time, the LCD screen is surprisingly comprehensive and effective. The top of the screen shows Graphic Target ID. To the right, there's the depth Indicator that displays numerical readings that will tell you how deep any of the potential targets are buried. Finally, the thing that makes this display somewhat unique is a battery indicator that is constantly present, dissimilar to the absolute majority of other detectors on the market that only show it when the battery is low. On top of everything else, the manufacturers also made sure to implement the Expanded Target ID Legend, a feature that is usually found in the Garrett's more expensive models, and the one that will indicate the U.S. coin denominations. Aside from that, this detector comes equipped with a 9” elliptical search coil that beats the majority of standard 8" coils. And, in addition to the latter, you will also receive a pair of free headphones. 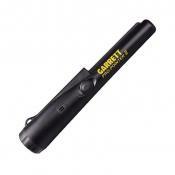 With all of that in mind, we could safely arrive at the conclusion that the Garrett Ace 250 is one of the most versatile metal detectors on the market. Whether you're the type that prefers to hunt coins, look for relics, search for all sorts of caches, or pursue pieces of jewelry, you could definitely find some use for this particular model. First day I received this amazing tool, I took it out into the backyard just to see if it worked. The first thing I found and dug up was a 1980's McDonald's foil lined ketchup packet 6" deep. This thing WORKS. My first "real" detector. Takes a bit of practice but very easy to use. Extremely sensitive. Pinpoint feature is very handy. A coin MAGNET! Love it! It's a very simple machine compared to the other more expensive models and that's definitely needed for just starting out. The weight is nicely balanced making it easier to handle all day. Feel like picking up a new hobby? Something out of the box? Perhaps something that combines your thirst for adventure with the physicality of sports? 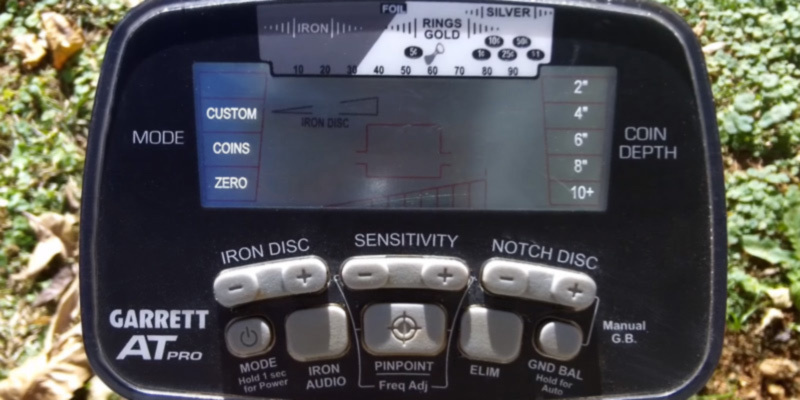 Well, there aren't a whole lot of options out there that could fit all of this criteria, but you could certainly pick up the Bounty Hunter QSI-PL Quick Silver and give metal detecting a try. 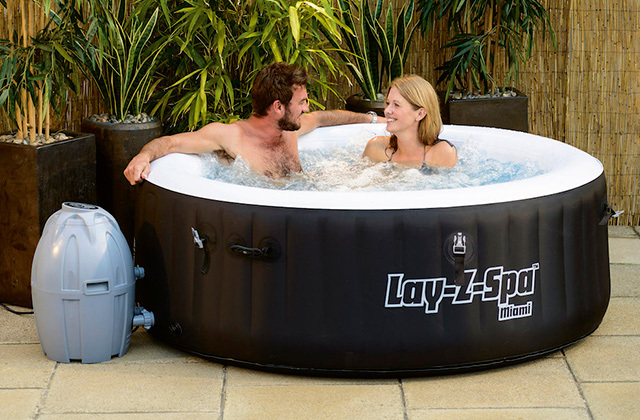 What makes this particular model suitable for beginners? Quite a few things, really. First of all, this is one of the most affordable models from one of the most respected companies in this peculiar business. Of course, no beginner is going to pay a thousand bucks for something he never even tried before, but you wouldn't want to entrust him with a subpar product either since it may very well discourage the person from ever engaging in this fun and exciting activity again. 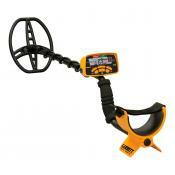 Other than that, this metal detector is also extremely easy to use. The LCD display is readable at varying distances and the model doesn't include a number of complicated modes. Nevertheless, it still packs quite a few features that make the product stand out compared to other detectors in this price range. For instance, it comes with a preset ground balance, a somewhat underrated technology that folks at Bounty Hunter install in all metal detectors they build. In short, this features makes sure the detector doesn't pick any minerals from the ground. Without it, you'd end up dealing with a whole lot of false positives every time a detector finds some useless pebble. Aside from the latter, the model also comes equipped with a four-segment digital target identification, so that you will never be able to mistake a piece of junk for a real treasure and start digging the second this instrument detects something. The three-tone audio identification is also there, serving a fairly similar purpose. Furthermore, the model incorporates both sensitivity and discrimination controls, meaning that it is capable of recognizing the majority of useless junk without requiring your interference. 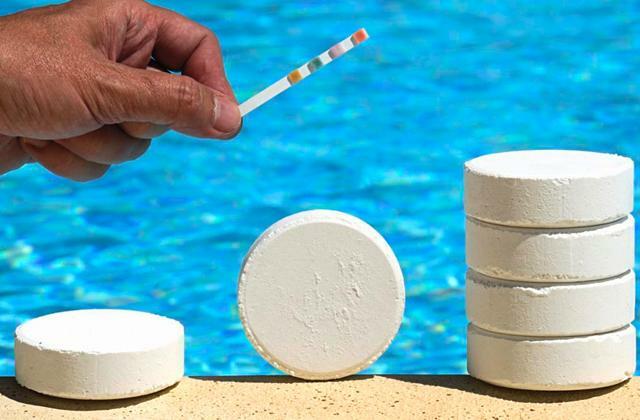 In terms of physical properties, you have your 8" waterproof open-face coil that you can completely submerge in water and use to pinpoint the exact location of a buried object. 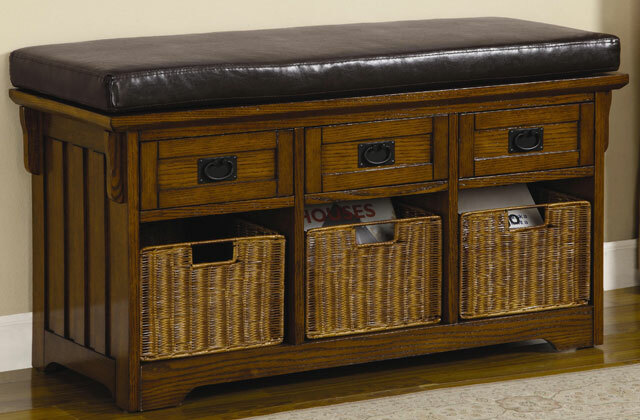 The whole thing also comes with a padded armrest and a cushioned handgrip, so you won't have to worry about overstressing your hand. On top of that, this waterproof metal detector weighs only 2.5 pounds, which is really light as far as metal detectors are concerned. That means you’ll be able to hunt all day and there's a good chance your legs will want to quit before your arm will. All in all, if you're looking to pick up a new hobby, why don't you grab the Bounty Hunter QSI-PL Quick Silver and give metal detecting a try? The model is quite affordable, but don't let that fool you since, for such an inexpensive product, this detector is packing quite a punch. 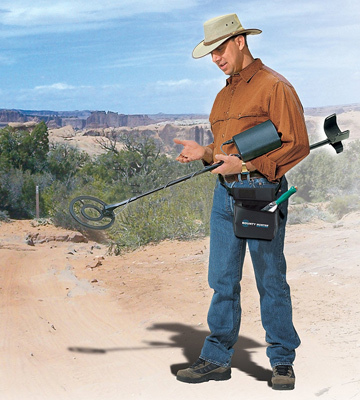 A handheld metal detector is a tool that consists of an oscillator, which produces an alternating current that passes through a coil generating an alternating magnetic field. When the coil gets close to a piece of electrically conductive metal, eddy currents (also called vortex of Foucault currents) are induced in the metal, thus producing a magnetic field of their own. The distortion of the magnetic field caused by the presence of a metallic object can be detected if another (identical, D-shape or concentric) coil is used to measure the density of the magnetic field. 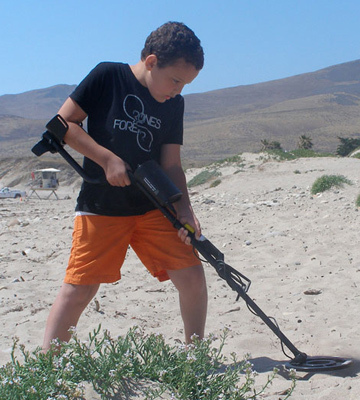 Nowadays a metal detector is not only an instrument for finding various metal objects under the ground but also a thing that offers you an enjoyable time spending with your family or friends in the field. The search for ancient coins and artifacts is an exciting occupation for your children to get involved in, which makes them learn new things about the history of your area. 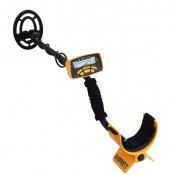 Using a handheld metal detector is a hobby that can be fun and interesting as well as profitable. 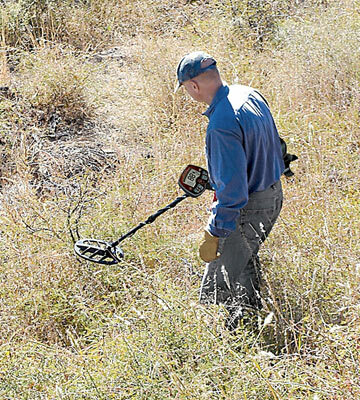 The practical use of a metal detector can help you clean a land plot of metal scrap and junk buried under the ground or find an adornment lost in your garden. 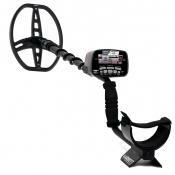 To help you make a right choice we have compiled 5 different metal detectors reviews and singled out the main features, which you should keep in mind when buying such a device. 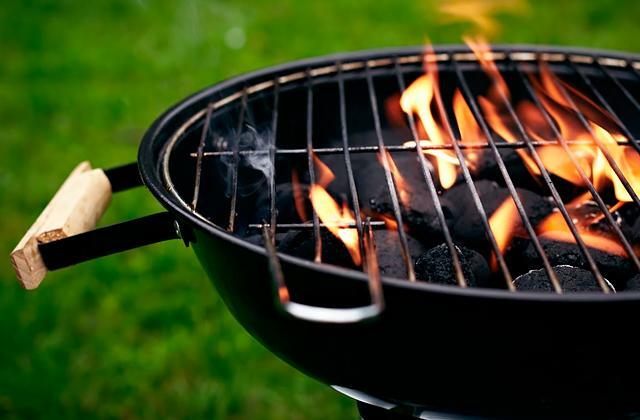 If you are a fan of alfresco pastime, you may find headlamps and sleeping bags objects of your interest, which can make you spend a night outdoors with comfort. 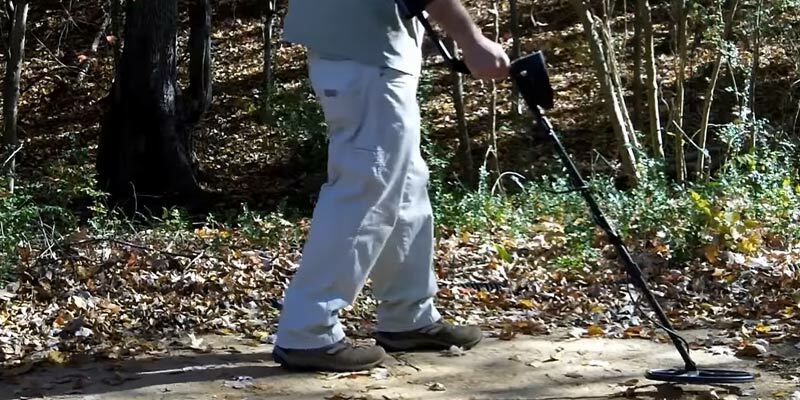 When choosing an appropriate metal detector you need to consider several aspects, which affect metal detection efficiency. First, you need to learn about the Specifications of a detector model in question. 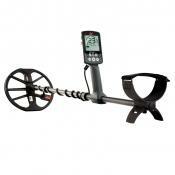 The operating frequency of a metal detector has a direct influence on the types of metals detected. If you are to choose a tool for searching for base metal objects on your land plot then you should look at the models with operating frequency of up to 5 kHz as they are very affordable and capable of effective detection of non-precious metals. The metal detector models with an operating frequency from 6 to 9 kHz range are best fit for finding precious metals and ancient coins. 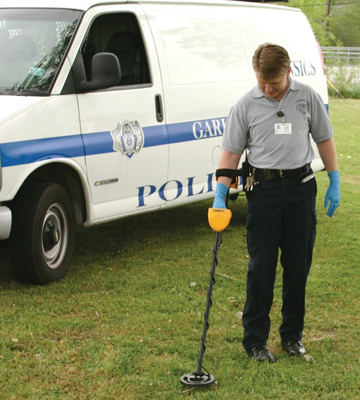 In case you decided to go digging for artifacts or precious metal objects and adornments you need to arm yourself with an operating frequency of 10 kHz and higher as these metal detectors are optimal for detecting different types of metals in big depths. The ability to peer deep under the ground will definitely come in handy for professional diggers. A detector coil type, its size, and shape are of much importance when analyzing a metal detector features. The most popular coils used by metal detector vendors are mono coils because they are very effective in detecting base and precious metals at different depths. 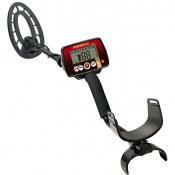 These advantages render them a number one choice for the vast majority of middle- and entry-level metal detectors. DD-shape (D-shape) coils are grouped back-to-back to form a circle, which enables them to detect a type and burial depth of metal with high precision. Such coils are often used in professional metal detectors. When regarding a size and shape of detector coil one should remember that the bigger coil covers a larger area and can be swept over the same territory faster but this comes as a tradeoff for a slightly reduced detection precision. 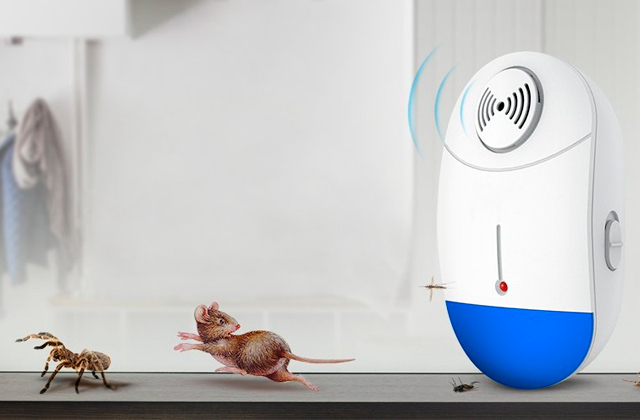 The smaller coils, on the contrary, can locate metal objects more precisely due to a smaller area of coverage, but they require more time to perform a search on a specific territory. The next group of aspects for you to consider includes device Operation Modes and Controls. 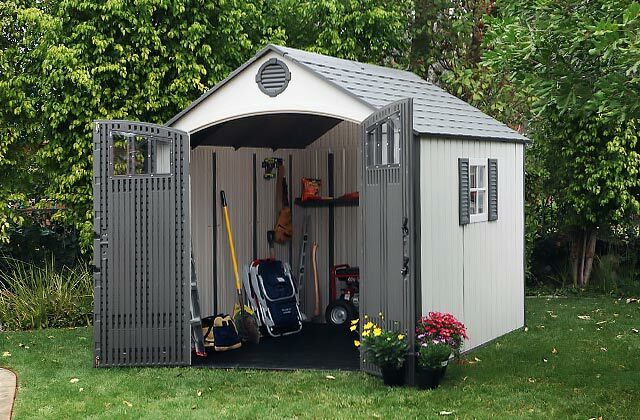 For example, different configuration profiles of a metal detector allow detecting specific types of metal and discarding the other, which enables a discrimination among the artifacts you are after and prevents you from digging for a scrap. Thus, applying your own configuration profile greatly increases the search efficiency. Some metal detectors support a depth meter function, with which you can obtain information on the burial depth of a precious ring or a coin. The feature of detector sensitivity adjustment provides an easier search and makes it possible to filter the interference and noise produced by mineralized soil or nearby transmission lines. Extra features, such as determination of the type of a metal object or even a denomination value of coins are the pros when considering a metal detecting device. A digital pinpointer feature provides a detailed info on location of an object in the ground so you can excavate this object without damaging it. Big and informative screen and various data displaying configurations allow you to choose a mode that suits you best and easily read the detector info. 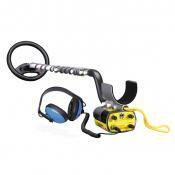 While a multitone sound indication of metal detection empowers you to distinguish different metals by ear. 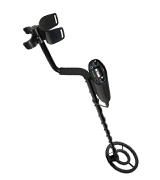 Having decided upon the Specifications and Operation modes of a metal detector you are about to purchase you should gain insight into its Extras, which facilitate the detector use very much. 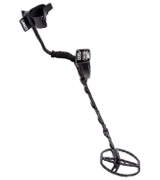 If you plan to search for coins and adornments in the water we strongly encourage you to buy metal detector models with waterproof coil assemblies in order to avoid damaging the detector. To be able to search for artifacts and precious metal objects in adverse weather conditions you need to pick a detector model with a rainproof control unit. Some detectors feature a shaft with an adjustable length to help you further customize the device and provide a comfortable long-term usage. The collapsible or foldable design of metal detectors will help you transport such devices in your vehicle’s trunk or put it in a bag. 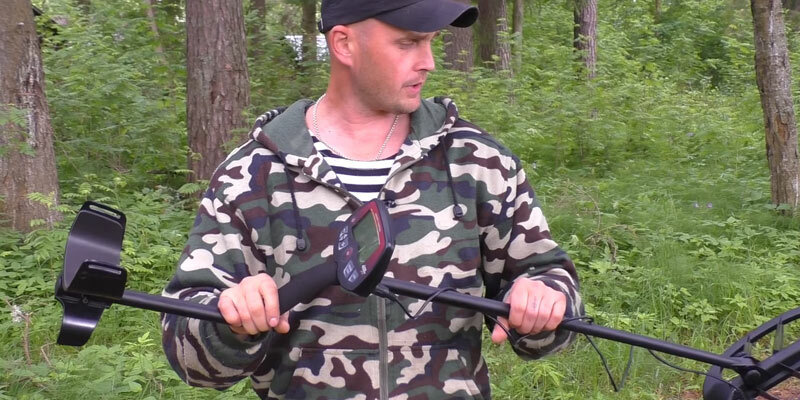 The Bluetooth or smartphone connectivity enable you to save location data and search results as well as share your data with other detectorists. 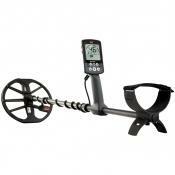 The small weight of a metal detector is also a big advantage for a continuous use of the device. 1. Chris Woodford Metal detectors, Explain that Stuff. July 31, 2017. 3. How Do Metal Detectors Work? Wonderopolis. 4. Mary Bellis History of the Metal Detector, ThoughtCo. March 6, 2017. 5. Dillon McLaughlin 6 Real World Treasure Hunts That Could Make You Rich, Cool Material.